December 15, 2010 /PN/ That's right! Photography News is 1 year old today, and we'd like to send a huge thank you to all our friends and supporters who read us, provide great feedback, retweet us, connect with us on Facebook, and share their all-round awesomeness with us. As you know, 2010 has been a very important year for Photography News : we welcomed our first readers, we grew up in size, and we've been working hard every day to bring you the information that really matters, and incorporate your feedback in order to improve the way you use Photography News. And yet, it feels like we are just getting started. The second year of Photography News' life is shaping up to be a pretty exciting one, with new features to be added to our website, new photographers to be promoted, new partnerships to be announced, a face-lift, and much more! Stay tuned. You are all part of it! Keep up this good wave of energy and God bless!! Yew!!! Congrats, here's to a dozen more! Happy anniversary guys! I am not a photographer but love everything photography, the reason I am following all your updates. Thanks for all the great news that address professionals and non-professionals alike! Happy birthday! You are one of my favourite places to read the news about photography. Wishing you all the best in 2011! Congratulations for your first anniversary and best wishes for coming next years. 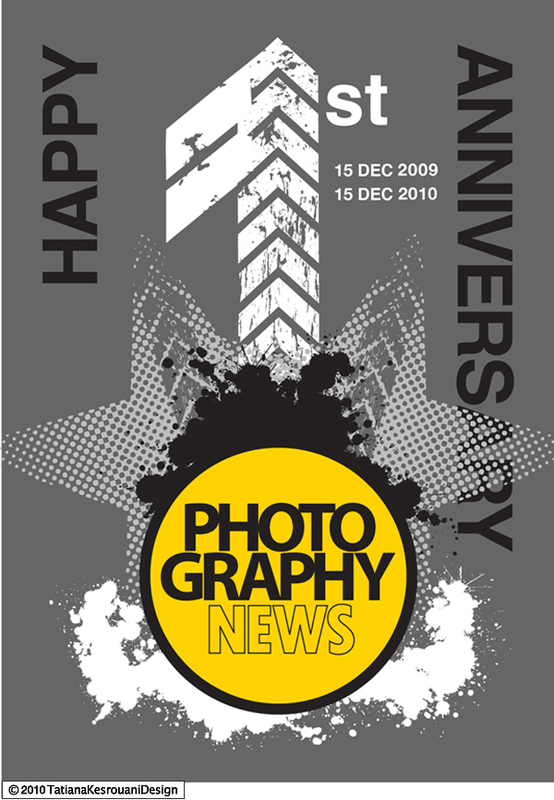 happy anniversary, photography news! you are doing a fantastic job! congratulations and THANK YOU for all the hard work you do to bring us the most important news in photography!